LadyMinerva had the most liked content! It's my birthday today~ ^~^ But It snowed a lot so this will be a quiet Christmas this year for me. Well, Happy Birthday, Happy Yule, and New Luna. Allie!! I missed you so much~ *tackles with hugs* I'm glad to see you back here as well xD How have you been? @LadyMinerva - What resolution do you intend to play in though? The 1080 is absolutely overkill for 1080p but it might be useful in double-triple monitor setup and if playing above 1080p. 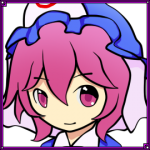 We still have our Touhou project to keep up as well.